Clearly the Dragon is the ultimate sailing extra. Weighing in at 1800kg and only 5m in length, this submersible is able to fit on more yachts than any other submarine on the market, with little or no refit required. And not only is it easy to operate once in the water, but it launches, recovers and stores just like the more traditional tender. In addition, DeepFlight customizes all the integration services, including all launch and recovery solutions, which comes as part of the purchase. More importantly, its 40V system and low electric signature ensures the Dragon is safe to operate around both swimmers and any large marine animals that you may encounter on your marine adventures. So start your underwater adventure today. The chance to explore the wonders of the world’s oceans has just headed to the next level with the launch of the DeepFlight Dragon. This sleek submersible may look like something out of a James Bond film, but is simple to operate and needs only minimal training – thanks to the Dragon’s impressive DeepFlight Dive Manager system. So before any time at all, pilot and passenger can chart their own course through the waters of the world – maybe even explore a part of the planet previously unseen by any human. 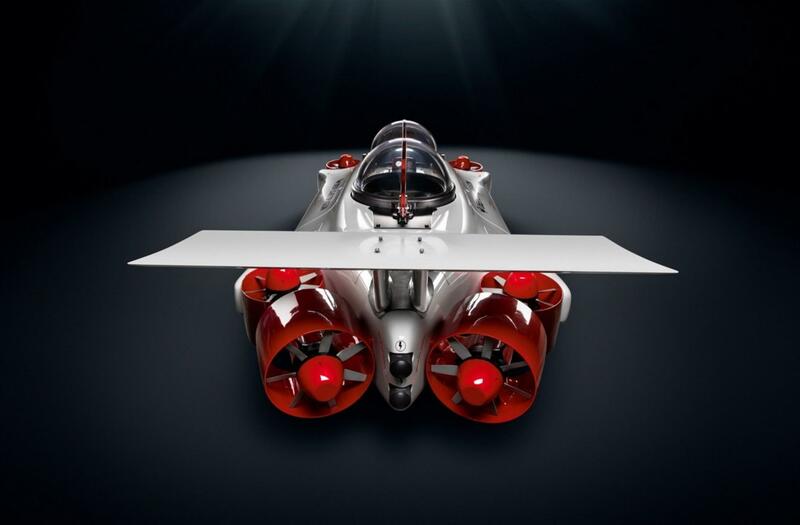 The Dragon is the first craft from submersible experts DeepFlight which can offer hovering capability – allowing the Dragon two-man crew to cruise alongside aquatic wildlife or hover over forgotten shipwrecks. An underwater lithium battery gives up to six hours’ life between charges – plenty of time to explore the world’s deep. The Dragon can also set a depth limit on any dive.